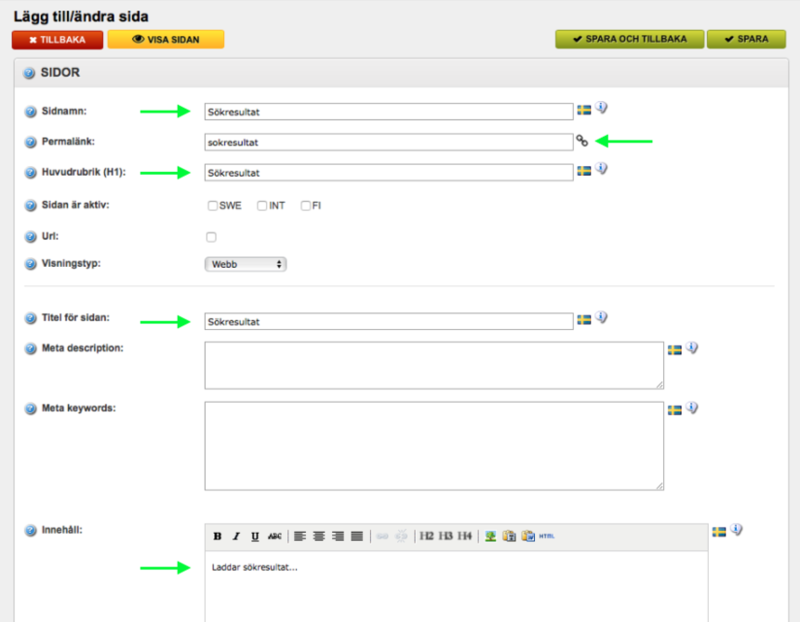 Step 2: Navigate to Inställningar > Scripthantering and click edit on ”All pages”. Step 2: Please verify this product feed URL is working and returning products. Step 3: Finally share this product feed URL with helloretail business, to complete the set up of your Jetshop webshop. Also set a headline (”Huvudrubrik”) and a title. 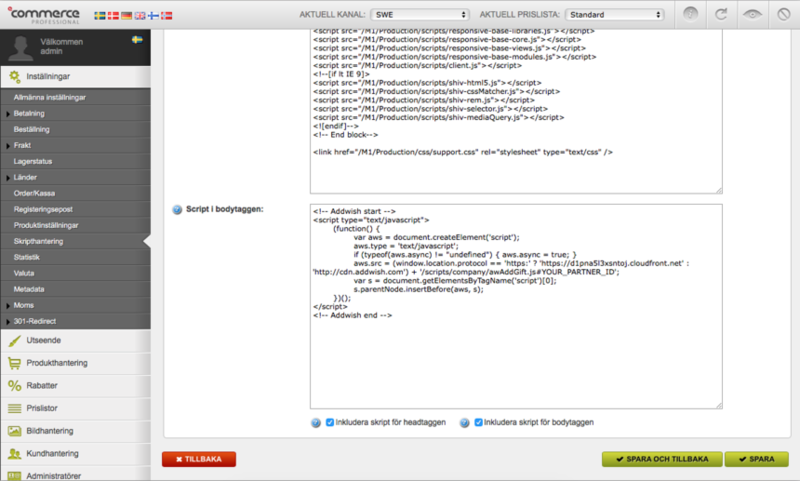 To be able to save the page, it also needs some content (”Innehåll”). This will be removed by our script when we insert the search results, so you can just add anything. For example ”Laddar sökresultat...”, or just a dot. Step 5: Click the link icon to show the page url, and copy it. Step 7: Finally, share this new page url with helloretail – for helloretail to finalize the setup of dynamic search.